The Woman Upstairs by Claire Messud (Book Review) - The Center for Gospel Culture. A reader expects to read a certain type of novel when the opening sentence finds the narrator saying: “How angry am I? You don’t want to know”–perhaps an adrenaline-fueled tirade of a novel, filled with high-octane rants and destruction; or maybe a novel bent on disturbing the reader through violence or depravity resulting from overwhelming anger and despair. When that same novel also features a profane epigraph from Philip Roth, those expectations become even more sure-footed. 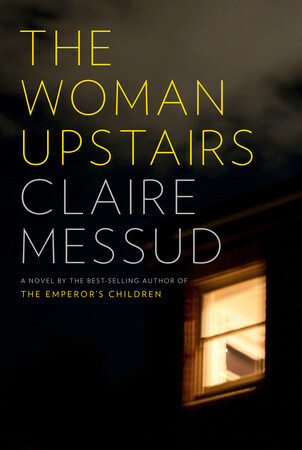 The Woman Upstairs by Claire Messud, however, seems to exist to defy expectations, both for better and for worse. Despite this aggressive, flippant opening sentence (actually, I DO want to know how angry you are), and a consistent yet subtle undercurrent of dread and gloom, the novel plays out slowly and methodically with minimal incident. This in no way renders the novel a failure, but rather a work often easier to admire than enjoy. Nora’s mother has died before the book begins and her father, old and also lonely, lives across the river in Brookline. Nora speaks with him every day and visits regularly. She has a couple of good friends that live across town, but she rarely sees them. She also has a grumpy aunt that lives north of the city on the ocean whom she visits half-heartedly. This quiet, seemingly sad life is shaken up when she meets the Shahids, a Lebanese-Italian family that moves to Cambridge and whose son is in Nora’s class. The father, Skandar, is a professor that has come to Harvard for a fellowship, and his wife, Sirena, is an artist from Italy. Once Nora meets them through a parent-teacher event, she is immediately entranced by their exotic and fascinating lives. Over the course of the novel, Nora falls, one by one, into different levels of “love” with each member of the family, including the young child Reza. Throughout, she struggles to wrap her head around how she, a reserved woman who has actively decided to live a reserved life, can have these feelings begin to well up inside of her. When she was a teenager, Nora was an artist, and felt sure that one day she would grow into a career in the arts. But life had other plans. She moved back to Boston as a young woman after a stint in New York and settled down as a teacher. It doesn’t take long before she and Sirena have gone in together on studio space in Somerville and are working on what they both believe to be their personal artistic masterpieces. Fitting their personalities, Nora’s art is miniature replicas of famous, troubled women in small rooms (Virgina Woolfe, Sylvia Plath, Edie Sedgwick) while Sirena’s project is a more grandiose, experimental, interactive exhibit that is to be shown in New York and Paris. The novel is so packed with complex characters and themes, it is difficult at times to fully appreciate all that is in front of you. Sexuality, race, class, art, academia, friendship, family, and even foreign relations occupy the pages of The Woman Upstairs. Messud is clearly brilliant and does an incredible job of invoking a variety of ideas while remaining tied to reality; but it can be distracting at times. The story’s undercurrent of menace, which seems perpetually on the verge of consuming the novel, provides momentum, but some of the asides end up hurting the flow of the novel (whose ending is as surprising as any I’ve recently encountered). While the occasional dramatic moment or phrase appears in the novel, Messud seems more interested in creating a slow and steady trajectory for Nora as she becomes more obsessed with both the Shahids and her own disappointment in herself, measuring herself against her new acquaintances. Are they her friends? Do they actually care about her? Are they simply using her as a pawn in their family drama? She can never be sure–partially because she is such an insecure person, and partially because Messud carefully crafts the Shahids to act repeatedly in ways that cause the reader to wonder about their intentions. The Woman Upstairs will likely tempt the reader into judgment of its protagonist. As she becomes more and more obsessed with the Shahids, Nora begins to ignore her family and what few friends she has, all while struggling to maintain any semblance of self-awareness. As the story progresses, the opportunities for the reader to look at her and think “how pathetic…I would never let myself act like this” are numerous. How could Nora let herself be so easily captivated by these people and change the way she lives to accommodate them? But once the novel comes to its conclusion, and Nora’s travails have had time to resonate, it becomes clear how far from unique her behaviors and thoughts are. Nora puts it well: “My heart’s desires: life, art, motherhood, love and the great seductive promise that I wasn’t nothing, that I could be seen for my unvarnished self and that this hidden self, this precious girl without a mask, unseen for decades, could – that she must, indeed – leave a trace upon the world.” How easy it is to fall into a trap of thinking “I am nothing.” Nora lived a life concerned with caring for her father, caring for the children in her class, and working towards contentment. As soon as she meets people living the way she once dreamed of, who often flaunt their exotic lifestyles, jealousy stirs within Nora’s soul and leads her to sadness, erratic behavior, and even hatred. All she wants is for these people, who in her eyes are special, to see her unvarnished self and affirm her.